Mauricio Pochettino has staunchly defended his players following the Stamford Bridge brawls on Monday night, suggesting it was normal for a derby of that nature to see such aggression, as reported by The Guardian. There were a number of fights throughout the game, with Chelsea doing everything they could to prevent Tottenham from keeping their title hopes alive. Mark Clattenburg had a real challenge on his hands – with 12 players ending up in the book – and it was really a massive surprise that nobody saw red. The game that handed Leicester City their first ever Premier League title was one of the most controversial in a while, with eight of Tottenham’s starting XI going in the book. The first incident was between Jan Vertonghen and Diego Costa, with the Belgian manhandling the Brazilian born Spaniard and getting exactly the reaction he was looking for. This appeared to be the one that started it all, and tempers soon began to flare. 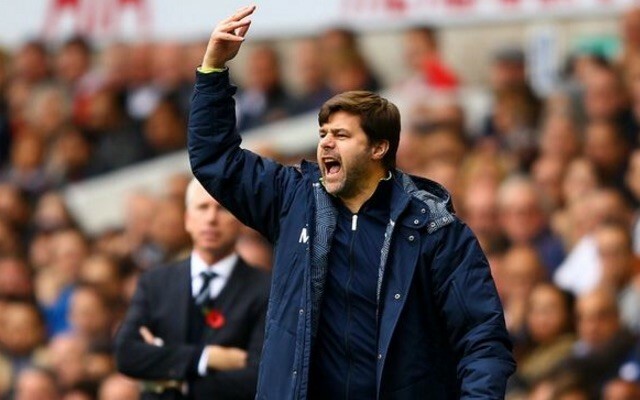 Danny Rose and Willian then clashed on the touchline, with Pochettino himself getting involved. It initially looked as though he was attempting to play peacemaker, but his involvement really only made things worse. Moussa Dembele scraped his fingernails down Costa’s face in the ruckus that ensued, and it seems likely that he’ll be retrospectively banned. When the final whistle went the scenes were even worse, and as the players headed down the tunnel everyone was trying to get at everyone. Guus Hiddink was knocked to the ground and it wouldn’t be a surprise to see both teams facing punishment for their involvement. Despite the scenes though, Pochettino defended his players in the aftermath, suggesting that it was only natural for them to be showing that kind of fight given what was at stake. “It was a derby, we were fighting to win the title and Chelsea were fighting to try and win. We were all involved. When you play for the title and play a big team like Chelsea, they want to win. It was normal emotion, fighting on the pitch is not a good example, for both teams,” he said. “In football we want to win and sometimes situations like tonight happen. I think there is nothing to say, nothing to blame, how they [Chelsea] take the game shows big respect for us. That makes us feel proud. “Our players are disappointed and sad, we need to feel that for the future. We are the youngest squad in the Premier League and to be in this position is fantastic. Now we need to focus to keep our place and finish second. While a certain level of aggression and fight is expected in games like these, some of the scenes were simply unacceptable. Dembele scratching Costa across the face was disgraceful, and no matter what’s at stake that is never something you want to see in football. There is absolutely nothing wrong with a good strong challenge, and arguably it’s something that has somewhat disappointingly gone from the game in recent years. There is a huge difference between a tough tackle and scratching and fighting at pitchside though, and once Pochettino sees the replays it’s hard to see how he could defend his players. Chelsea certainly weren’t blameless, but who actually faces punishment remains to be seen.